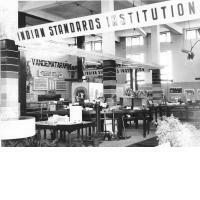 Shri C.Rajagopalachari, President of ISI (1947 - 1948) addressing Calcutta conference on Standardization and Quality Control held on 8-4 February, 1947. Hon’ble Dr. S.P. 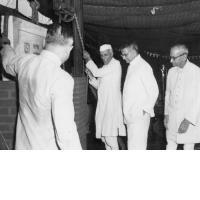 Mookerjee, the then Minister of Industry and Supply inaugurating the Chemical Division Council (CDC) of the Indian Standards Institution on 30, Sept. 1948. 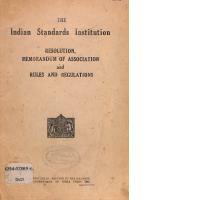 The CDC Secretariat was also the secretariat for ISO committee for Shellac. 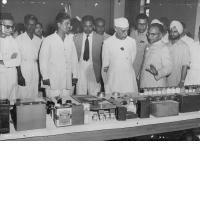 Dr. Lal C Verman as Director ISI and Vice President ISO attending 4th ISO Council Meeting held from 3-7 July 1950 . Shri S.K. Sen, DG ISI presenting a copy of the Souvenir ‘25 YEARS OF ISI’ to Shri A.L. Dias, Governor West Bengal. Shri S.S. Ray CM West Bengal present on the occasion..
BIS welcomes you to a guided tour to reminiscence the glorious past of BIS (erstwhile ISI) and its splendid achievements in the field of Standards Formulation and Certification. 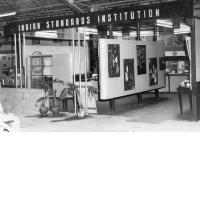 The picture gallery presents glimpses of various events of yesteryears, important mile-stones, illustrious visitors and dignitaries from all over the world to witness its landmark achievements..
Pt. 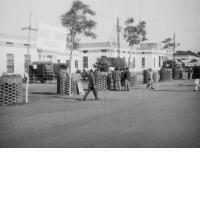 Jawahar Lal Nehru Saluting March-past. Inaguration of road safety week in Bangalore by Dr. S.Radha Krishnan, Vice-President of India, Dr. Lal C. Verman escorting him.